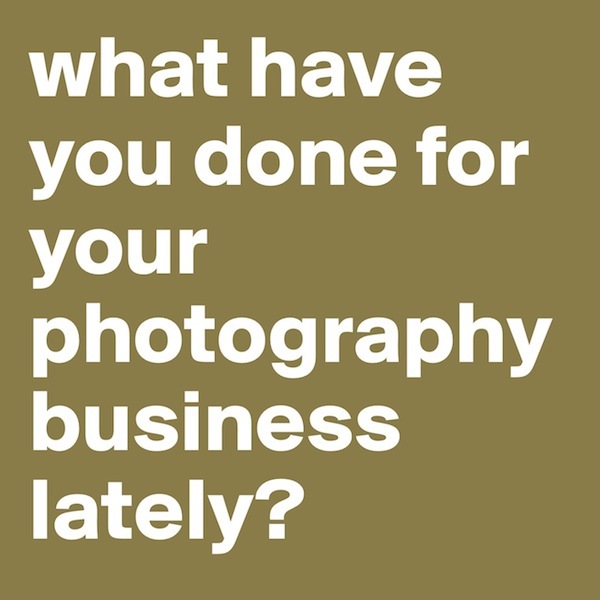 What have you done for your photography business lately? Have you logged your equipment for gear insurance? Have you double checked your liability insurance? Have you joined a networking group to learn? Have you gone to any conferences to learn and network? Have you taken any courses to learn? Have you read a photo business book to learn? Have you researched ways to improve your photo sales? I’ll ask again. What have you done for your photography business lately? This has been a friendly reminder to take time here and there and find ways to improve your photography business.